The Wabbit woke up. His legs felt like overcooked spaghetti and his head was no better. But he heard a soft thud and caught Jenny's automatic as it bounced over the wall. He peered over the broken bricks. "Hello Jenny, welcome to Grayfields." "What are we doing here?" asked Jenny. The Wabbit brushed mortar away and rested his paw. "I haven't the slightest clue." Jenny dusted herself down, and pushed the automatic down her skirt. "I have a confession to make, Commander." The Wabbit managed a smile. "How long since your last?" Jenny ignored the Wabbit's sense of humour. "I am only temporary Cardoom at the Artichoke Club." "Splendid," said the Wabbit. "You might consider joining the Carrot Club, we're desperate for members." Jenny span her hat on her hook, then put it on. "Perhaps I could become a Grand Daucus like you." 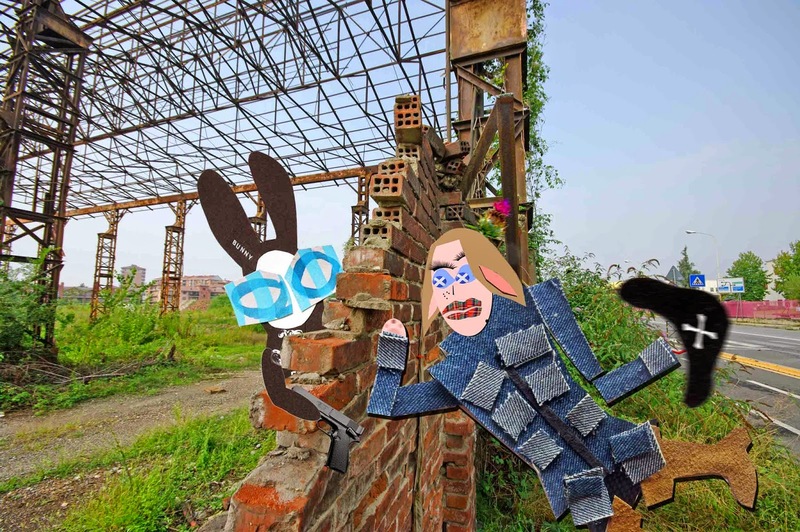 The Wabbit grinned a shaky smile. "I'll nominate you." Jenny shook her head emphatically. "That honor must go to Bunky Green." The Wabbit's 28 teeth gleamed. "When this is over, I'll fill out the papers." They paused. "What about the Jolly Green Gas?" asked Jenny. The Wabbit wrinkled his nose. "Well, I do have a clue about this menace. If we don't stop it, the whole city is in danger." Jenny's eyes widened and the Wabbit tipped his head to one side. "Have you heard any drilling?" "I have," said Jenny. "See any extra trucks?" "Masses," nodded Jenny. "Fracking," said the Wabbit. "No need to curse," said Jenny.